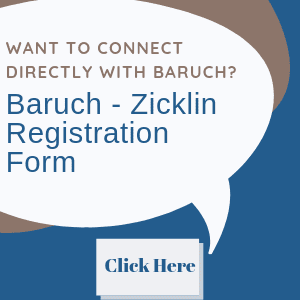 The Baruch full-time MBA at the Zicklin School of Business is structured across four semesters of study, with a cohort of students admitted in the fall semester. Students complete their degree in 22 months. Following a two-week pre-term orientation, students are divided into cohorts, which are further broken up into small, diverse learning teams who work together throughout the first year of the program. Students must complete 23 courses totaling 57 credits to earn their MBA. Each course is worth either three credits or 1.5 credits. Within their first year, students are required to complete the following core courses: Financial Accounting; Business Communication I; Business Communication II; Information Systems for Managers I; Fundamentals of Microeconomics; Financial Decision Making; International Business Fundamentals; Management: A Behavioral Approach; Service Operations I; Marketing Management; and Applied Statistical Analysis for Business Decisions. Students must also complete one of the following courses: Business and Society or the Legal and Ethical Environment of Business, as well as two courses from the following list: Fundamentals of Managerial Accounting; Information Systems for Managers II – Managing and Harnessing Technology; Fundamentals of Macroeconomics; and Service Operations II. The required core courses total 27 credits, while the flexible core courses total six credits. In their second year, all students complete a three-credit capstone course, Business Policy. The remaining credits needed to graduate are comprised of elective courses, which students may begin taking in their second semester. Between 12 and 18 of these credits, or four to six courses, must fall within a student’s chosen major. *Accountancy majors earn their CPA as well as an MBA, and therefore have slightly different requirements than other majors. Students in the most recent Zicklin full-time MBA class had a median GMAT score of 640, with the middle 80 percent of students scoring between 550 and 710. Prior to matriculating at Zicklin, students in the class had mean work experience–of 56 months and had a mean college–GPA of 3.2. Thirty-eight percent of the class is women, and 34 percent of the class is international. Among recent Zicklin graduates, just under 65 percent of those seeking employment had accepted a job offer by graduation, with roughly another 26 percent accepting positions within three months after earning their degree. The median starting salary was $65,000. Approximately 61 percent of the class chose a job in financial services while consulting drew more than 12 percent and marketing/sales just over 15 percent of the class. Graduates also entered consumer products and media/entertainment among other industries. As for signing bonuses, the median bonus earned was $10,000. 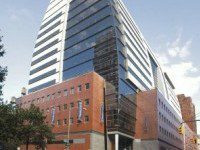 The tuition for full-time students (those taking 12 or more credits per term) is $7,685 per term for New York state residents and $1,050 per credit for non-resident and international students. Students must also pay an academic excellence fee of $1,000 per semester, an activities fee of $39.60 for the fall and spring terms and $14.45 for the summer term, a technology fee of $125 per semester, and a consolidated services fee of $15 per term. Applicants must submit an online application form, a current resume, two essays (plus one optional essay), official transcripts from all undergraduate and graduate institutions attended, GMAT or GRE score reports, two professional letters of recommendation, and a $125 application processing fee. Applicants who attended a non-U.S. college and whose first language is not English must also submit scores from the TOEFL, PTE, or IELTS. 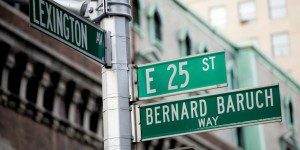 What are the Best Healthcare MBAs You Can Find in New York City?